There’s not a lot we can really take from tonight’s ultimately comfortable if briefly shaky cup fourth round win at Central Park – it was a freezing night in Cowdenbeath and a fringe Rangers XI was tasked with the job of getting past a home side who were looking to create a big shock. Naturally they didn’t come particularly close to this, and Steven Gerrard set out a side very near to your Ibrox Noise predicted XI from earlier – their main reward was to impress their manager and stake a claim for a first-team regular slot – but one fringe man certainly didn’t come close and gave every indication why he has completely disappeared from the front lines in recent months. Jon Flanagan was a controversial signing given his past off-pitch misdemeanours. We defended the signing on the basis of giving him a chance like we should any new signing who arrives with baggage – we judge based on what they produce on the pitch rather than their reputation off it. And signs early on justified our neutrality – he looked composed out of position at LB as Steven Gerrard struggled to find a permanent solution. Later signing Borna Barisic ended up injured, Lee Wallace wasn’t favoured and Lee Hodson wasn’t in the picture. But as time wore on Flanagan’s displays fell apart, and by autumn the ex-Liverpool fullback was making a lot of unforced errors and looking extremely uncomfortable. Even on the rare occasions he played at his preferred RB he looked unsure at best, and at worst even less convincing than at LB. In short, Andy Halliday’s emergence at LB owed as much to Flanagan’s deteriorating form as it did Barisic’s deteriorating fitness. And tonight’s weak showing at right back gave some idea of just how much us Rangers fans take James Tavernier for granted – Flanagan was nervous, uncertain, positionally all over the place and frankly displaying just why he is miles away from the first team. Compare that with Andy Halliday’s latest assured display on the other side – not just his outstanding goal, but his running, work, positioning and general confidence was a gulf compared with Flanagan’s lack of any of them. ‘He just needs a run in the team’ might be the staple response to this, but do we really want to risk that compared with Tavernier or new signing Matt Polster? 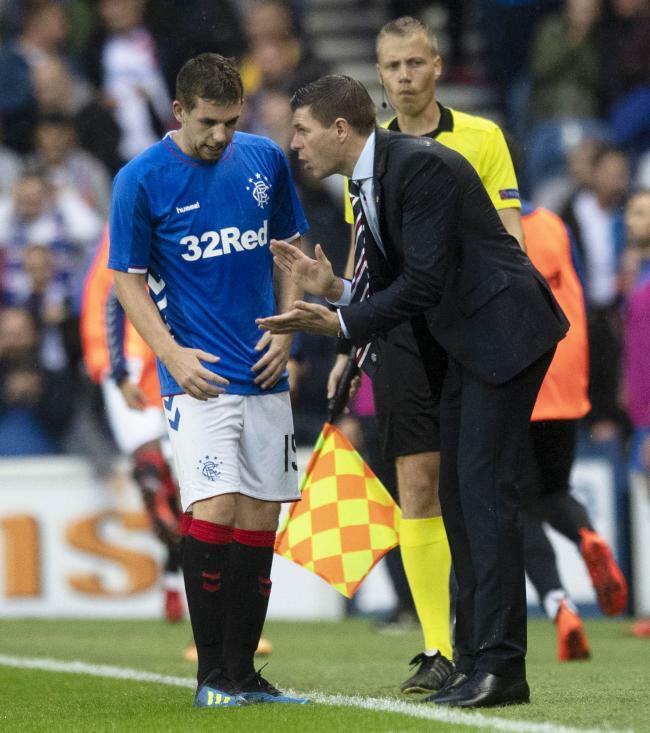 Flanagan now exists as a squad player – he has shown, after that early decent spell, nothing in a Rangers jersey to justify selection, and his starts are now likely to be at a premium. Flanagan is a right back. I could see the point slating him, if he was played in his natural position and messed up a lot. But he's constantly asked to play wrong-sided. So for me, it's a bit harsh on him. And there were folks on here last summer after he signed urging that we bin Tav. Based on absolutely no evidence. That would have been really clever.